I received my August Cast A Spell FabBag a bit late this time due to some shipment issues. But, when it finally arrived, I was literally jumping with happiness and joy. So, lets see what I got in my August 2015 Fab Bag. So, this month's FabBag is Cast A Spell Fab Bag that contains 2 full sized products and 4 sample sized products. The theme of the bag is based on fairy tales and hence the bag is light pink in color with silvery designs made on it. The pouch looks good to me and is really sturdy and of good-quality. I would have preferred a combination of deep blue with glittery stars on it though to totally justify the theme. In my bag, I received the Fab post, which is a magazine describing all product details and contains other beauty tips and tricks. I also received a card with my name on it, telling me what products my Fab Bag contains. The first product that I got is the Divo Eyelash Curler that retails for Rs. 125. I got this full-sized curler but it was a bit damaged. The rubber padding was coming off. I can totally fix it myself but still did not expect a damaged product. Anyways, it does a really good job of curling the eyelashes and it makes it even easier for me to apply mascara. I would definitely ditch my old eyelash curler and use this one from now. I had been eyeing the Fran Wilson Moodmatcher Lipstick and luckily enough, I found this in my fab bag. I got it in the color black. There are many quirky colors like green and orange among few other colors. These moodmatcher lipsticks react to our body chemistry and transforms the color into a picture perfect hue. It appears to be light-pink in color when applied but then gradually the color deepens and turns into a beautiful deep pink. I love the shade and I highly recommend you guys to try this out. It can literally survive any number of meals as it is very difficult to remove this. Even my makeup remover couldn't remove it completely. Might be a con for some but long lasting lipsticks are totally my cup of tea. Costs Rs. 590 and I got it full-sized. 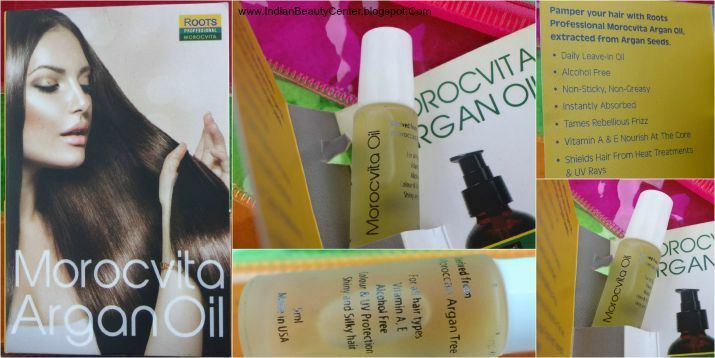 Made in USA, I found Morocvita Oil from Roots Professional. It is actually non-greasy and makes my hair manageable. I quite like this hair oil. And the best part is that it is a 100% organic oil. And, it works! I greedily wish I had received the full size of this one. 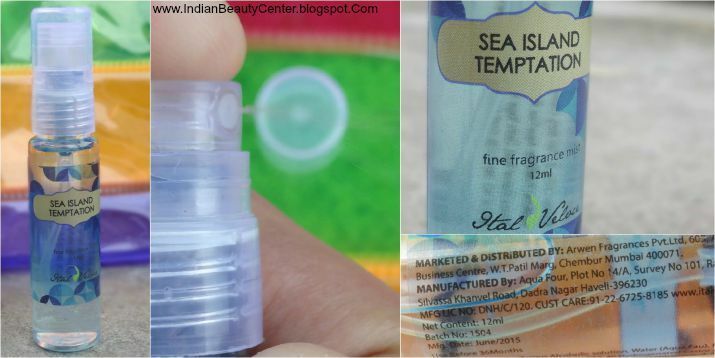 I got only a 5ml sample of this, whose cost would be something around Rs. 83, when calculated using unitary method. I found this cute Ital Veloce Body Mist- Sea Island Temptation in my pink pouch. It's a body mist and the fragrance is really fresh and nice and reminds me of fragrances I have used before. The frgarance is very flowery. I got a 12ml sample of this one and it costs around Rs. 29, when calculated using unitary method. Sad part is that the fragrance hardly stays for 1.5 hours on me. 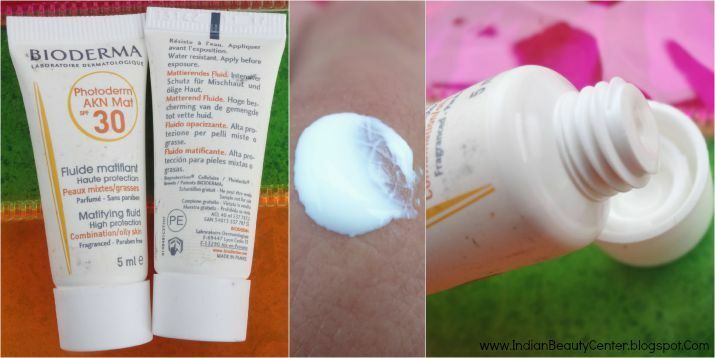 Finally, I received 2 sample tubes of the Bioderma Photoderm Mat SPF 30 Sunscreen, mattifying fluid for combination or oily skin. I have used this white colored sunscreen on my face and I found it to be really nice. It did not break me out, at least. And does not cause too much of greasiness. Oil returns to my T-zone after about 2 hours of application. I got two tubes of 5ml each, so I got total of 10ml products, which is generous for a sample. Total cost (again, using unitary method) comes to be something around Rs. 332.5 and that's expensive. So, total cost of my August fab bag comes to be 332.5+29+83+590+125 = Rs. 1159.5, but you pay only Rs. 400, when you opt for the 12 month subscription. Isn't that great for trying out all different kind of products? I liked this month's fab bag, specially the moodmatcher lipstick. 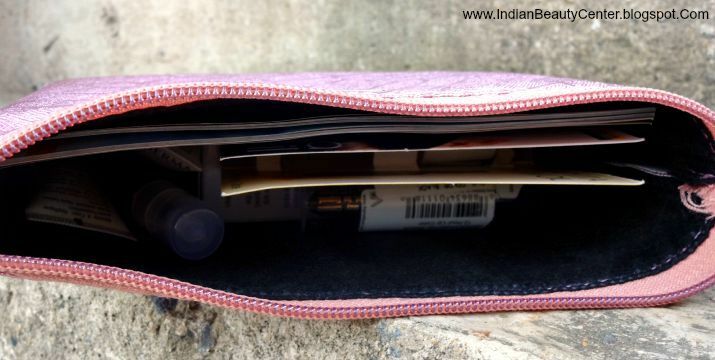 It's definitely one of the best beauty subscription service out there in the Indian market! Do try out fab bag girls and I am sure you would love it!